New Delhi: Supply of retail space in shopping malls fell by 80 per cent during the first half of this year to nearly 0.3 million sq ft in seven major cities as projects have been delayed, property consultant CBRE said on Tuesday. Rentals of retail space in these seven cities showed a mixed trend, according to CBRE?s 'India Retail Market View' report for H1 2014 on the status of organized retail real estate spaces in the country's leading cities. These seven cities are Delhi-NCR, Mumbai, Chennai, Kolkata, Bangalore, Hyderabad and Pune. "H1 2014 witnessed more than 80 per cent drop in organized retail real estate supply over H1 2013. At nearly 0.3 million sq ft, new mall supply addition remained sluggish during the first half of 2014, dropping by more than 80 per cent over the same period last year," CBRE said. All major retail projects lined up for completion during the first half of 2014 were either deferred to the second half of the year or to first half of 2015, the consultant noted. CBRE South Asia Chairman and Managing Director Anshuman Magazine said: "The second half of 2014 is likely to witness a shift in development completions from the established retail hubs of Delhi and Mumbai, towards hose of Bangalore, Hyderabad and Kolkata". The availability of quality retail space in the core markets of Delhi and Mumbai is expected to remain tight, posing a challenge for retailers with entry plans into key shopping districts, he observed. 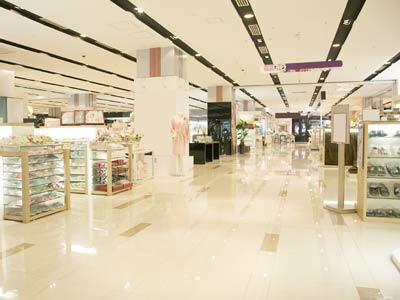 On rentals, CBRE said that select prime shopping markets of major cities displayed rental appreciation. "Rental trends displayed mixed sentiments across cities during H1 2014. While certain traditional high street markets saw a rise in rental values, other shopping hubs of the country saw a rental decline. "The consultant found out that mall clusters in certain prime markets saw an increase in rents as global brands preferred such prime shopping locations. However, mall rentals of certain suburban districts of leading cities remained stable. CBRE also mentioned about a key trend observed during the period which was an increased activity in India's online retail space. "Retailer brands such as River Island, Dorothy Perkins, and New Look entered into exclusive tie-ups with leading Indian online retailers for their merchandise rather than setting up brick-and-mortar outlets," the report said.